The Hand Held ImageTeam 4410 has been renamed to the Honeywell ImageTeam 4410. 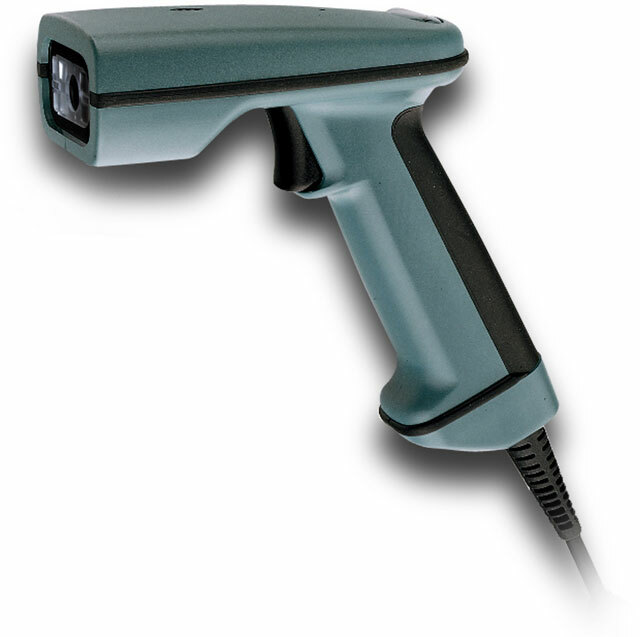 For high volume hand scanning operations in even the most demanding environments. The ImageTeam 4410 Series: Handheld input device for reading and decoding two dimensional (2D) symbologies and OCR text. The ImageTeam 4410 can also capture images for signature capture, record carton condition when shipped or received and other related applications. Long range RS-232 kit: Scanner, RS-232 cable & power supply. Extended range RS-232 kit: Scanner, RS-232 cable & power supply. Extended range Keyboard wedge kit: Scanner, PS/2 cable & power supply. Long range Keyboard wedge kit: Scanner, PS/2 cable & power supply. High density Keyboard wedge kit: Scanner, PS/2 cable & power supply. Very high density RS-232 kit: Scanner, RS-232 cable & power supply. Very high density Keyboard wedge kit: Scanner, PS/2 cable & power supply.